Dr. Ken is one of the best-known cosmetic surgeons in the world. As extremely dedicated surgeon, this has ensured he has work in the most acclaimed clinics throughout the world. At the moment, he is offering his services in Dubai Cosmetic Surgery as a visiting surgeon, with a view to relocating to Dubai in the coming years. 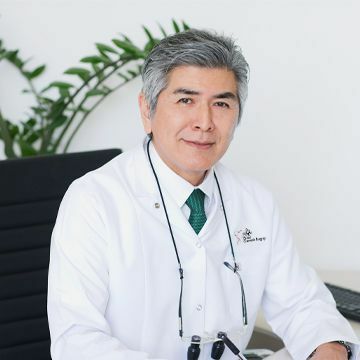 Hailing from Japan, Dr Ken earned his certifications from the Japanese Society of Plastic and Reconstructive Surgery. He is also an International active member of the American Society for Aesthetic & Plastic Surgery. When it comes to his favorite treatments, body contouring surgery is at the top of his list. This procedure allows him to showcase his skills and expertise. In addition, Dr. Ken is an expert at performing mole removal procedure, laser treatment, fillers and botox. When it comes to qualifications, few can match Dr Ken as you can see from the extensive list below! He earned Ph.D. Ehime University from Japan in 1996. Certification as a Specialist Plastic Surgery in Dubai Health Authority in 2010. His qualifications are not limited to these certifications only, but most notably he is serving successfully as an international member of different organizations. They include IPRAS (International Confederation for Plastic Reconstructive and Aesthetic Surgery), ASAPS (American Society for Aesthetic Plastic Surgery), and ISAPS (International Society of Aesthetic Plastic Surgery).